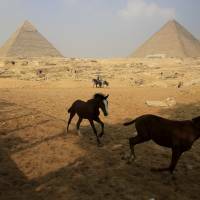 CAIRO - Two weeks of new thermal scanning in Egypt’s Giza pyramids have identified anomalies in the 4,500-year-old burial structures, including a major one in the largest pyramid, the Antiquities Ministry announced Monday. 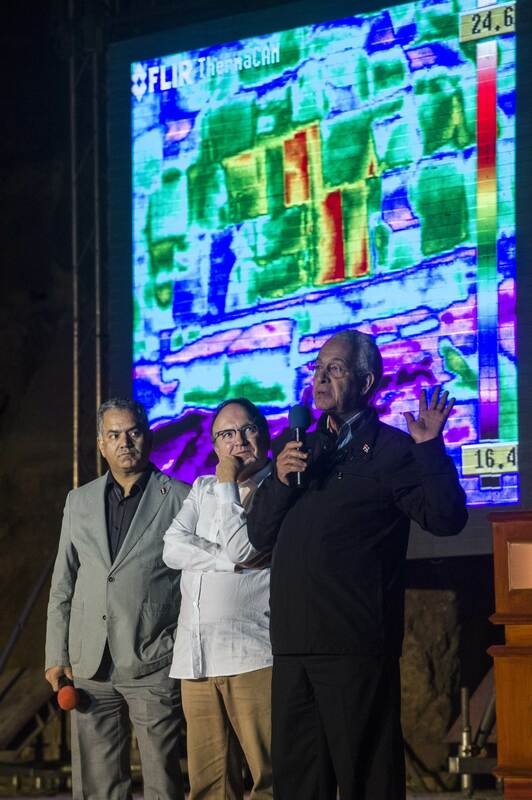 Antiquities Minister Mamdouh Eldamaty and technical experts working on the project showed the higher temperature being detected in three specific adjacent stones at the bottom of the pyramid in a live thermal camera presentation to journalists. 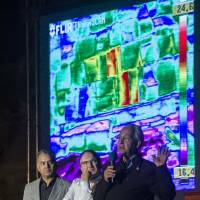 “The first row of the pyramid’s stones are all uniform, then we come here and find that there’s a difference in the formation,” said Eldamaty, pointing at the three stones showing higher temperatures. 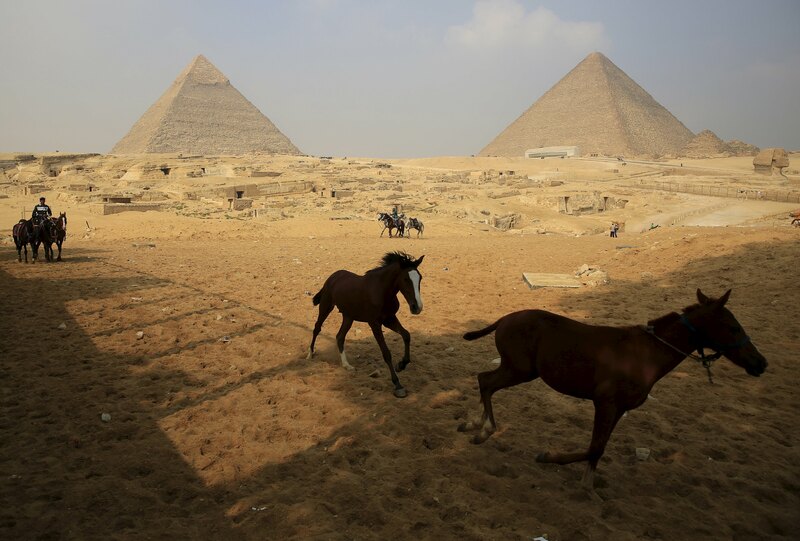 Eldamaty invited all Egyptologists, especially those interested in ancient Egyptian architecture, to join in the research and help come up with ideas on what could be behind the anomalies.